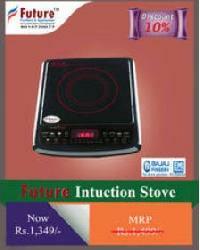 We are offering induction stove. 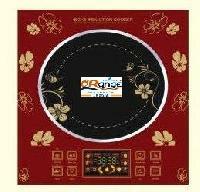 - glass plate - 120 watts-2000 watts 160 watts-240 watts - screen touch with voice (with pot). Lay your hands on our exquisite array of Princess Induction Stove that are made up of the finest grade material and modern manufacturing techniques. 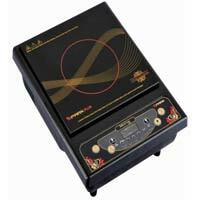 One can easily acquire our Super Induction Stoves in retail or bulk all around the year. To keep the extensive array of products safe till final dispatch, we have a well-structured and organized warehouse that is well maintained by veteran professionals. Having a wide network, we work on all Payment Terms as per the suitability of our patrons. Our payment procedures are reliable and legal. We do not impose hidden charges. 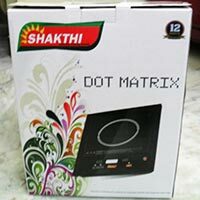 We are a supplier of Butterfly Induction Stove from Salem, Tamil Nadu. 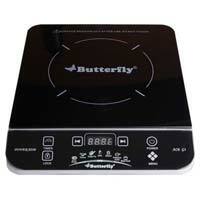 The Butterfly Induction Stove is available in single as well as double cook tops. They are power efficient and you can cook faster without the tradition cooking gas on these stoves. Ideal for use where fire cooking is not possible. 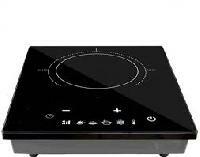 The Butterfly Induction Stove comes with a guaranty of quality and promise of performance. Induction Stoves With the busy lifestyles and environmental concerns of the modern day woman, Everest induction stoves have brought a great sense of relief to many kitchens. They are economical and environment friendly providing an enhanced cooking experience to the family. We abide by the strict delivery policies and thus, we ensure that the products are sternly packed and delivered on time. Deeply ingrained in Udaipur(India), we have marked our presence in the industry by offering world-class products at the best prices. We have a high degree of dependence on the Induction stove in our homes and know the extent of disruption that a small snag can cause in the kitchen routine. Get a Ak to provide you with expert support to cover you for any eventuality at home. So you no longer have to worry about voltage spikes or water leaks or anything else that you do not wish to bother about. 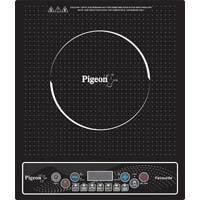 We are one of the prominent suppliers of Pigeon Induction Gas Stove in Agra, Uttar Pradesh. They are designed in a compact pattern using cutting-edge technology to meet the requirements of the customers. 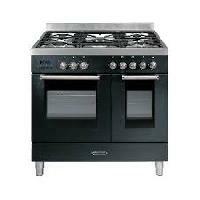 They also contain two burners, easy-to-use knobs and medium size. These products are highly valued for their flawless functionality and longer service life. 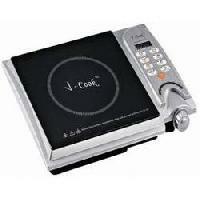 We are dealing best Induction Stove supplying company. 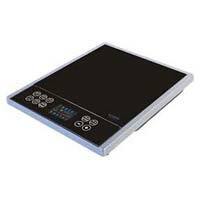 We offer brissk induction stove bih201 adopt quality crystal plate durable & easy to clean digital display various cooking options adjustable temperature and wattage timer settings abs body anti – magnetic support safe and reliable. 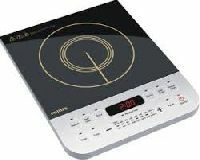 Power Consumption: As induction cooktops run on electricity instead of fuel, it is important to consider the power consumption of the stove before purchase. Estimate the approx. hours you would spend in cooking on the induction and use this data to analyze the power that the induction might consume every day and calculate the power cost. 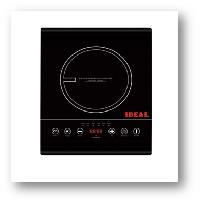 Make sure that you buy an induction that has a lower cost of power consumption. 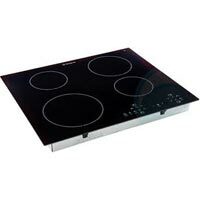 Safety: Safety is another important thing that you should consider while buying an induction stove. Check for the temperature control and automatic shut-off feature to avoid burning or spilling of food. Make sure that the stove is cool to touch even when the temperature is high. Test it with some plastic utensil to ensure that nothing except the induction base of the utensil gets heated to ensure safety. Also, see if the induction has a safety child lock which automatically shuts the power off when children are around. 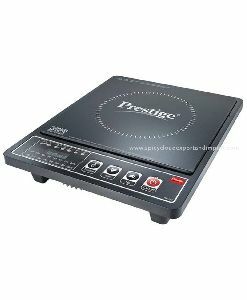 Size: The size of the induction is also an important thing you should keep in mind while making a purchase. 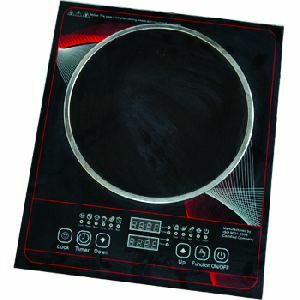 Induction stoves are available in various sizes, ranging from 30cm to 90cm. Measure the space in your kitchen where you plan to keep the stove and choose the size accordingly. Ease Of Use: Check out the facilities that the cooktop offers to analyze its ease of use. See the control panel to check out the different functions that it can perform. The touch zones should be easy to comprehend and make your cooking experience easier. Timer: Most of the induction stoves now come with a timer and automatically shuts the power when the time gets over. Make sure that the induction stove has a timer installed in its control panel. The stove you buy should also have a timer to provide ease in cooking. 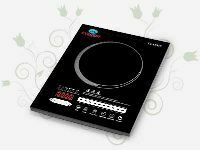 Number Of Cook Zones: Another important thing to keep in mind while buying an induction cooktop is to check the number of cook zones available in it. According to your size and the amount of food you have to cook every day, see how many cook zones you require. You can find stoves with a single zone, two zones, three zones, four zones, and even five zones. Portability: Another important thing that you should check is portability. Is the stove lightweight? Can it be moved easily? How long is the power wire? Many questions like this need to be asked to check how portable the stove is. 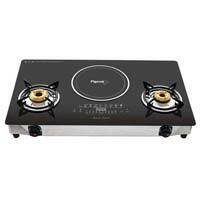 An induction stove is much costlier than a regular gas or even electric stove. The induction stove must be installed professionally. The regular utensils cannot be used on an induction stove. Only induction stove cookware should be used on an induction stove. Cleaning and maintaining an induction stove is much easier than any other stove. Induction stoves heat up instantly, thus saving a lot of time in cooking. The element on the induction stoves only heats up when an induction base cookware is placed above them and automatically turns off as soon as the utensil is removed. Being a flat surface, cleaning an induction stove is much easier than cleaning a gas or electric stove. Energy Saving: One of the biggest benefits of using an induction stove is that it does not heat up when any vessel is not placed above it. 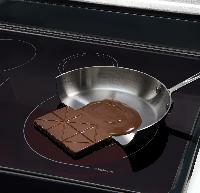 An induction stove only heats when an induction cooking vessel is placed above it, thus saving a lot of heat energy. It is cool to touch in the area where the vessel is not touching the induction base. Instant Heat Adjustment: In the gas stoves, increasing the flame takes some time to heat to the vessel and eventually the food inside. But in an induction stove, the heat adjustments are instantly reflected in the vessel. The element in the induction stove heats up instantly and adjusts the energy flow in seconds. Moreover, you can also set precise temperature for cooking in an induction. Safer To Use: The induction stoves stay cool even when turned on as long as a vessel is not placed in the cooking zone. These stoves also have automatic child lock that can sense children around and automatically turn the power off. Easy To Clean: Cleaning an induction stove is very convenient as they are nothing but flat surfaces with cook zones on them. Cleaning them is way easier than cleaning those stoves with burners on them. Moreover, induction stoves do not get dirty very quickly as they prevent spilling of food automatically and no byproduct from condensing of food materials is produced while cooking. Requires Separate Cooking Vessels: One of the biggest disadvantages of using an induction stove is that you cannot use it with regular cookware. You need to buy a separate range of cooking vessels with induction base to cook on an induction stove. High Power Consumption: Many people complain that an induction stove consumes higher power than the regular electric stove. The cost of power consumption comes out to be way higher in an induction stove as compared to the fuel and energy cost in gas stoves. Noisy: Induction stoves make a buzz or hum sound on higher settings caused by the cooling fan inside the induction. At lower settings, a clicking sound can be heard while cooking. Cannot Work During Power Cuts: Induction stoves work on electricity. In case of power cuts or electrical failure, the induction stove would stop function altogether. 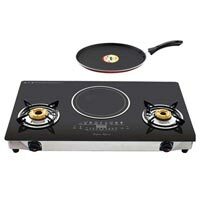 It requires a constant supply of electricity to work, and if there is no power backup during electrical failure, the induction stove would stop working instantly. Expensive: Another disadvantage of an induction stove is that they are an expensive purchase. Their purchase cost is very high as compared to any other stove.